My puzzling relationship with food started in junior high school. Food seemed to be an enemy. The doctors informed me I was simply a Type A person who had a similarly Type A gastrointestinal system. This fabricated diagnosis was (and still is) known as IBS – Irritable Bowel Syndrome. After several decades of suffering a bevy of physical ailments, I was finally diagnosed with Celiac disease. Research from recent years has revealed the pathophysiology of Celiac and how its damage is not restricted to the GI system. It is serious business and I would not wish it on anyone. However, my day of diagnosis was a joyful one. It was a victory. I told my family – “See! I told you it wasn’t all in my head!” I was vindicated, validated. 1. You can drastically change your diet. 2. You are the biggest obstacle to this – not the food, the taste, travel, your family, work or friends. 3. You can improve your relationship to food by making it a minor focus, and not a primary. We are obsessed with food. We think about it all the time. It is an outlet, and enjoyment and I think that is healthy. However, should it be a primary focus of our lives? I do spend more time than preparing and planning meals. But in spite of the time required, I can choose to keep food in perspective. 4. Food does not define me. 5. My life is no less fulfilling because I cannot eat certain foods. Get perspective people. Stop the whining and start the process of loving what is available to you. (Side note – you do get some time to grieve, that’s okay. But don’t remain in that place for long.) Now it’s time to move on to the fun stuff – the actual food itself. 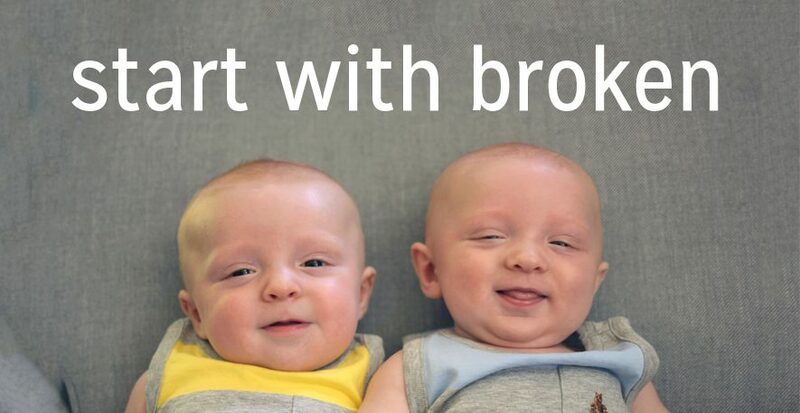 So, drumroll – I’d like to introduce my newest series – Start with Bacon. I search recipe books and blogs to find meals and snacks that fit my diet. I generally support Paleo, but many Paleo recipes have too much sugar for me, or FODMAPs. I see a snack recipe laden with dates or honey and think “Really? Are we missing the point?” A recent addition to my library has been Grain Brain. I highly recommend this fascinating read which examines countless studies to illustrate the effect gluten and carbohydrates are having on our brain and overall health. 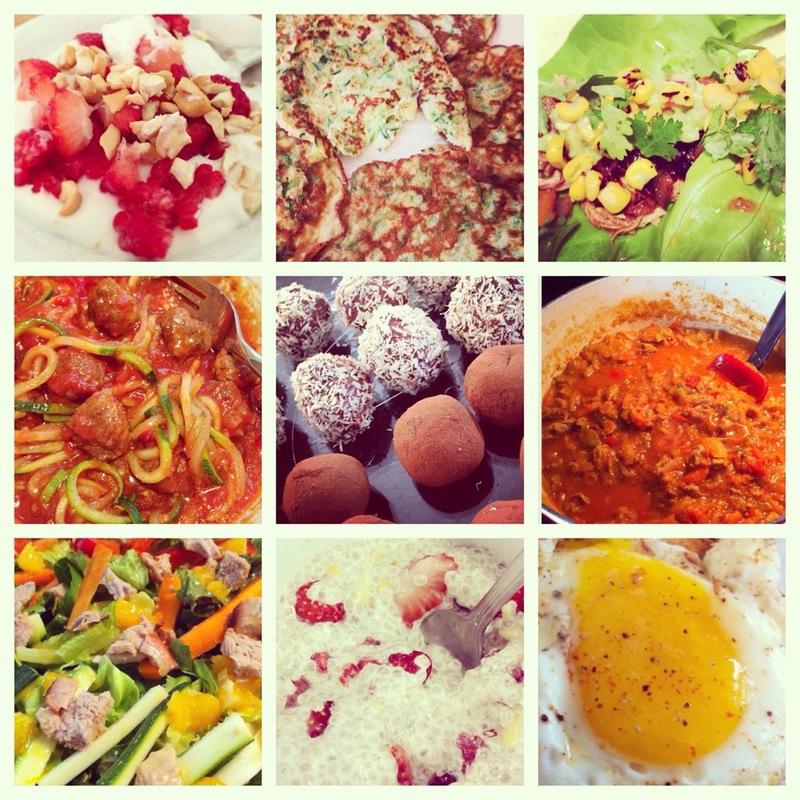 My new series will share food discoveries and recipes, whether poached from another blog or modified by me. My hope is that I might encourage other restricted eaters and add a few more snacks or meals to their rotation. Watch for the Start with Bacon series soon! And happy, simpler eating! 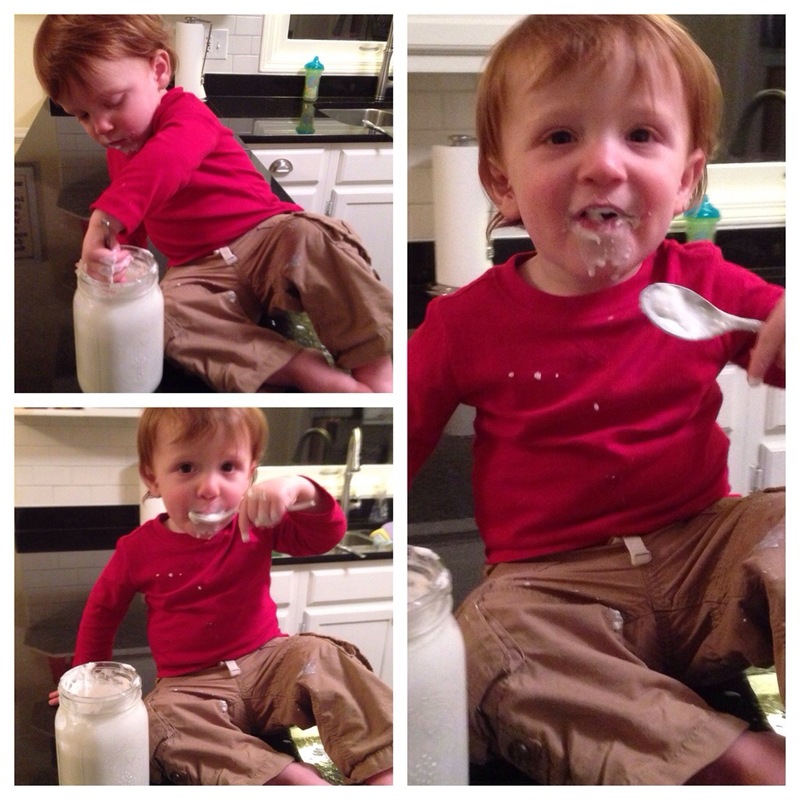 The bear loves mommy’s homemade gluten/dairy/sugar-free coconut milk yogurt! Thanks girl! Hope you can find a new recipe to like! You are always an inspiration to me – doing what you love well!